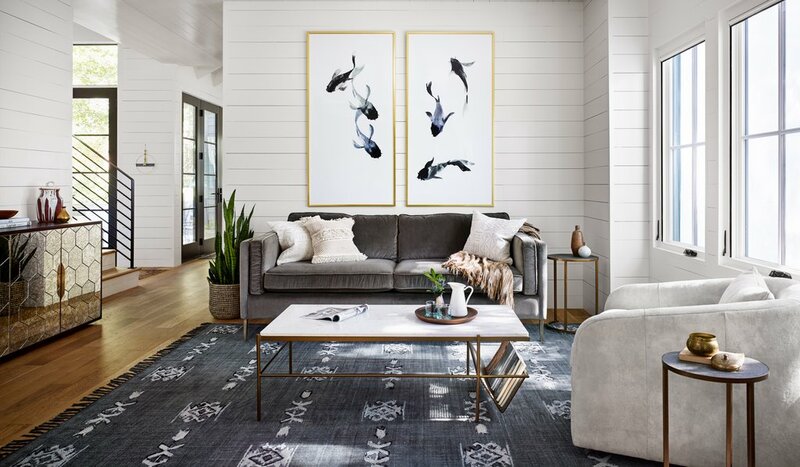 Comfort, vintage-inspired, modern function, brass tones, antique rust.... Shop New Collection at Burke Decor now. Small scale, substantial comfort. Precisely tailored seating in a pebbled fabric that offers a touch of light movement. Sheets of stainless steel intersect a rich peroba tabletop for a striking marriage of materials. Antiqued brass tones lend a look of sleek modernism to organic textures.